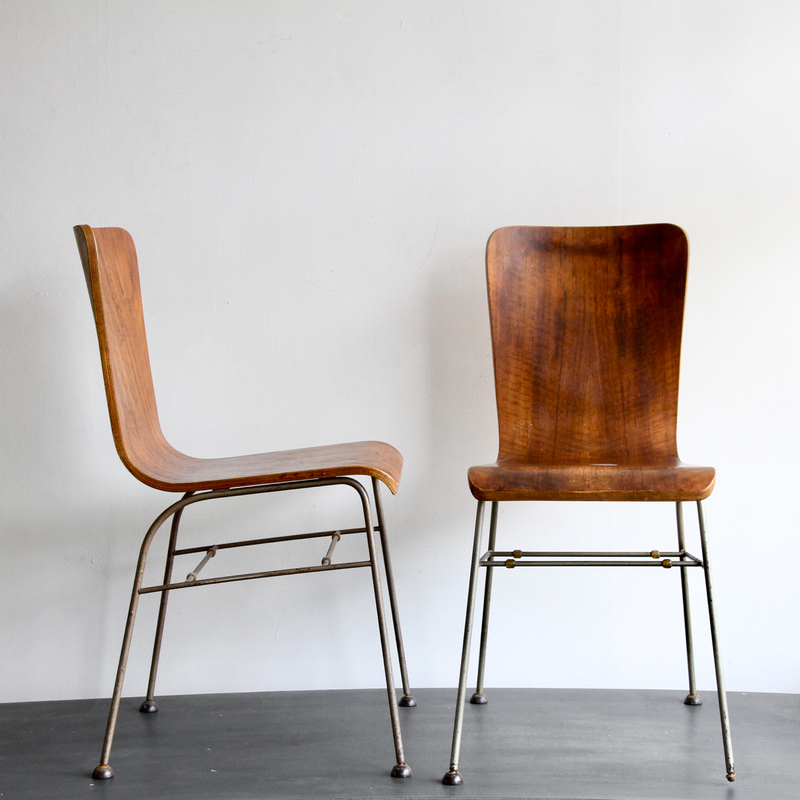 A pair of 1950s wire frames bent laminate walnut chairs on Armstrong Cork Co Bakelite feet. In the style of Olavi Kettunen. One of the chairs is missing a foot see photos. A replacement could be made.